Through the entire month of March, I've been trying out recipes from Trailer Food Diaries latest Cookbook, Austin Edition, Volume 3 published by The History Press & loving every single one. Today's recipe from Wholly Kabob, was no different. There is so much going on in Austin right now! The ever-exciting SXSW is in full swing & for a lot of folks it's spring break, which means nice sunny days, afternoons at the park & trailer food meals are almost here! Surely we're nearing the end of these random chilly days...right? 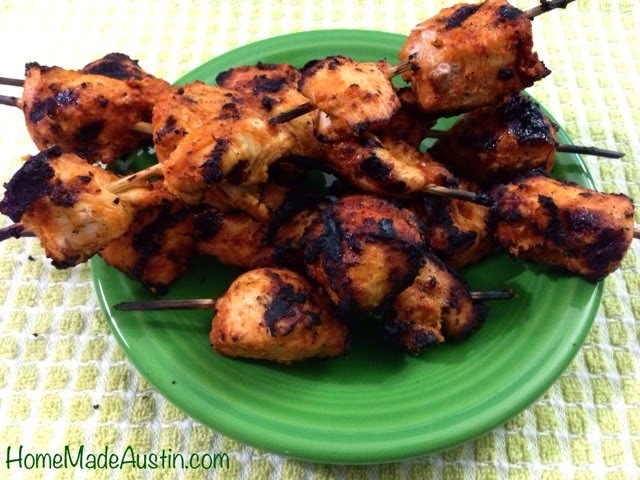 To celebrate the next few months of *hopefully* gorgeous weather, we fired up the grill to try out Wholly Kabob's recipe for Chicken Kabobs. They were just what we needed to get in the mood for spring! 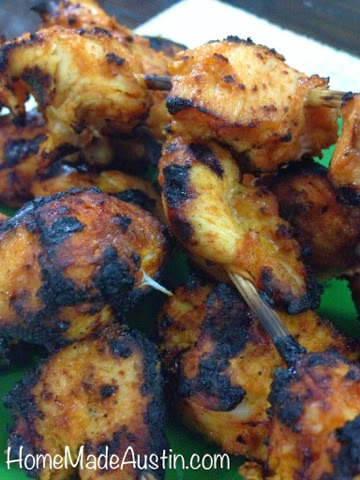 The prep & process couldn't be easier, & these kabobs were infused so much flavor, making for juicy, tender pieces of chicken. The simple, quick to throw together marinade is packed with savory goodness that truly makes the dish. And to top it off, all of the ingredients are staples that I had sitting in my kitchen. I LOVE it when I can skip the grocery store madness & still get a delicious & healthy (score!) dinner on the table. Not to mention...who doesn't love eating meat on a stick?